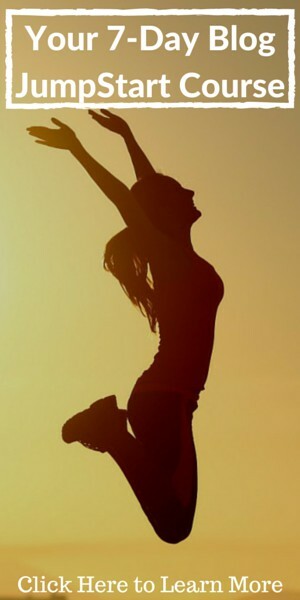 Yay, it’s 2016 and what better way to start the year by starting your blog. I know you’ve probably wanted to start one for a while now but perhaps don’t know where to start. Well, today I’m going to lay it all out for you and show you How to Start a Blog and Make Money in 2016. But why would you want to start a blog in 2016? To make money of course. You see in the past people started blogs to talk about themselves and share their personal experiences online but now they have Facebook, so people are now more interested in blogging for money. And this will certainly be true for 2016. Let’s take a look at some of the highest earning blogs from 2015. You’ll probably be surprised to know some of these top earning websites that make money online are actually blogs. But it’s true you can make money from a blog. This data was gathered from a recent post on Income.com. So these are just a few of the top earning blogs from last year, and not surprisingly they all started small and grew into these large businesses over time. There is no such thing as an overnight success in blogging, but you’ll never be successful if you don’t at least start. There are a couple of different ways you can start your blogging journey. One way is to follow your passion and the other is to focus on writing for a popular niche like this blog. But it doesn’t matter which path you take, as both can lead to generating a reasonable income if done right. Let’s take a closer look at your options. If you’ve been around the Internet for a little while looking at how to start a blog and make money online you’ve probably come across the idea that you should follow your passion. But why? Blogging isn’t a short term money making scheme as it takes plenty of effort and determination to be as success as you’ve probably imagined. To be a successful blogger in 2016, you need to be prepared to write a few times a week and do this month after month for and for at least 6-12 months before you’ll see any real traction. Are you up to it? So it turns out if you blog about your passion, your chances at success are much greater, because who doesn’t want to work every day on the things they love. Writing a blog on something you’re passionate about helps you dig deeper into your passion and effectively you report back to your readers what you’ve discovered. A blog can be as simple as that. If money was no object what would you do in your day? What sort of things did you really like to do as a child? Could you just follow your curiosity? Regardless of your passion, there are always ways to make money with a blog. So don’t think it needs to be something you think people will like. It needs to be something that you’ll truly enjoy. Remember the world is a big place and you are only looking for a thousand or so people in a sea of billions to help support your blog. But more on that later. If you don’t want to write about your passion, then your other option is to write about something other people are passionate about. The other type of blogger is typically someone who just wants to take advantage of the Internet to make money online. And sure blogging is a perfect way to do this because ‘Content is King’ and blogging is the best way to create that content. So how are you going to find out what the world is searching for? Google Trends is a great tool to discover what people are searching for. Google has a monopoly on Internet Search and has the best idea on what people are searching for at any given moment. Billions of searches are made per day so they have plenty of data to work with and fortunately for us, they are happy to share that data. And if you wanted to create a news type site like those top money making blogs I mentioned earlier then it’s best to choose one of these popular topics. However, if you want to create a smaller niche blog then drill into those topics and go a little deeper to find an area that’s got plenty of interest and isn’t too broad. For instance, you can use a website like DMOZ.org to help you drill into a category to find what to blog about. And once you’ve decided on your blog topic you’ll need to brainstorm approx 50 blog post ideas to make sure there is enough content you can blog on. For some ideas on what to blog about check out these blog post ideas. Regardless of your final choice for a blogging topic, you’ll need to ensure it’s going to be sustainable. If you can’t brainstorm at least 50 ideas for your chosen blog topic then perhaps it doesn’t have enough substance to be a long term blog. Taking the time to find the right topic to blog about is going to save you a lot of time down the track if you suddenly realise you’ve made a wrong choice. But don’t let indecision stop you from starting a blog because not starting is a sure way to guarantee failure. Once you’ve decided on a blog topic, you’ll be ready to start thinking up some good blog names. It pays to think of a few good names during this process as the ones you like aren’t always available as a domain name. Unique – Do a thorough search on the Internet for your blog name to ensure you aren’t infringing any trademarks. Short and Sweet – Try to keep the name down to 10 characters or less to make it easier to remember. Make it a story – Try to find a name that already has a story behind it, this will generate some interest when people are writing about you. Get a second opinion – After finding that perfect name ask your friends if they like it. If they all say ‘no’ then keep looking. Check for Availability – Use a site like GoDaddy if you want to know if a domain name is available. Your alternative to thinking of a blog name is to use a Blog Name Generator. These name generators essentially filter out the names that aren’t available on the Internet so you’re not heading down the wrong path. Ideally, you’re looking for a blog name that has one of your keywords in the domain so people know exactly what your blog is about without having to ask. This also helps you to avoid costly brand marketing to teach your audience about an unusual and barely related name. 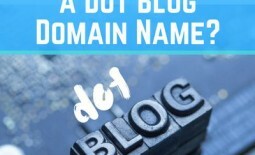 A blog name generator will also help you to find a domain name quickly so you’ll be blogging online sooner. 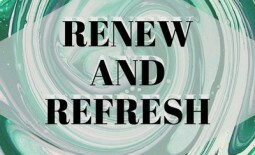 Choosing a blog name is worth taking your time to decide because changing the name after you’ve already established your blog can be a messy and expensive exercise. It’s not impossible, but it won’t be business as usual for a while. You should notice something missing in this section title, the words ‘make money’. 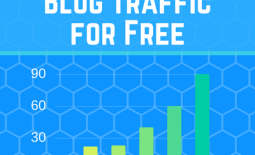 This is because during my time as a blogger I’ve noticed a few things about free blogs. Now both of these observations are closely related and both have to do with web traffic or more specifically the lack of it. You see when you start a free blog, you’re using someone else’s domain, web servers and are forced to follow their rules. None of which are helpful if you are trying to start a blog to make money. In fact, some free blog sites don’t even allow you to put advertising on your blog at all. See this post about free blogs for more information. You have been warned, but if you still think it’s your best solution then you really only have a few options. Both these websites will set you up with a free blog and will likely upsell you into their paid service down the track anyway. The better option is to save time and money over the long term and set a blog the right way if you are serious about blogging for money. It’s likely you just skimmed to this section because we all want to learn how to start a blog and make money, but I encourage you to read the proceeding sections so you have the best chance at success. However, when my close friends ask me what the best strategy to blog for money is, I always recommend they start with cheap web hosting that allows them to grow later with no additional cost. The blog and website hosting I’ve been using for the last 10 years, is a company called Bluehost and remarkably the costs 10 years ago were very similar to the costs now which is really amazing to see they’ve kept the costs down for so long. 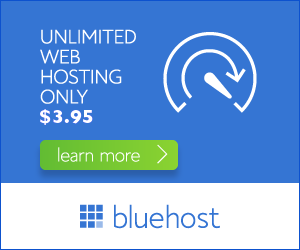 One of the great features of Bluehost is the free domain with each account so it saves you a little extra money when starting up, and because you’re going to need a domain name for your blog anyway you might as well take advantage of the free offer. Once you’ve purchased your blog hosting, you’ll want to use the 1-click install to load a product called WordPress, which is the most popular blog hosting software around. If this sounds too confusing I’ve put together a step-by-by guide taking you through the complete WordPress setup for Bluehost or alternatively you can just watch the video. So after you’ve setup your Blog you’re ready to get started adding content. Blogging is pretty straight forward but if you’re wanting to know the best way to add content to attract readers then check out this recent blog post. It’s an email based video course that takes you step-by-step through your blogging setup all the way to publishing your first post. And once you’ve found your blogging voice and have a few blog posts under your belt, you’ll be ready for the next step which shows you how to start making money with your blog. Usually, this is the order in which people are comfortable making money when they start out on the Internet but each heavily rely on web traffic. So let’s cover this off first. You can learn about getting more organic traffic to your blog here but my preferred method is by using what’s called Keyword Research. Keyword Research is the method in which you use keywords and phrases that ordinary people are searching for. The Google Search Engine tries to closely match the things people are searching for with the words and phrases that exist on the Internet. So it pays to know what people are typing to find your blog. Here’s a quick guide on how this works. Your other alternative it to use the Google Adwords Tool inside AdWords but it’s not nearly as useful as the tool in that guide I just mentioned. Either way getting organic traffic to your blog is one of the most crucial steps if you want to earn money blogging. The other way is to manually promote your blog, and I’ll cover this a little later because when you start blogging this is likely your best option. Now let’s take a closer look on how you’ll use all that organic traffic. Display Advertising – Is the most common method to make money with your blog and Google Adsense is the number one display advertising company. It’s popular because it’s really simple to get started as you just need to place a single line of text into your blog’s sidebar and once it registers with the Adsense Servers you’ll start seeing ads instantly, well almost instantly. Google Adsense does require you to have a few pages on your blog and you are supposed to already be receiving a flow of web traffic. Failure to comply means your account won’t be activated. Affiliate Marketing – The second most common method for making money online is through affiliate marketing. This type of marketing is like the job of a sales assistant in a bricks and mortar store. A customer comes in (web traffic) and you provide enough information so they’re aware of the product and have enough information to make a purchasing decision if the product is right for them. If the customer buys the product you get a small sales commission. Affiliate Marketing is based on trust so if the customer doesn’t trust you then you don’t have a chance at making a sale. Fortunately, the sales tactics of the past have almost disappeared where people used deception to get people to buy products. Now affiliate marketers are more open and actively display their disclaimers so people are aware that there might be some affiliate links. That said, I prefer affiliate marketing and actively promote the products I trust and use on a daily basis. My disclaimer is in the footer of this blog. Once you’ve joined a program, you find the products you want to promote and then place a copy of you affiliate link in your post. Sell Your Own Products – Making and Selling your own digital products is going to provide you the best return for your efforts, and requires the least amount of traffic. However, this traffic is generally qualified as it’s made up of your raving fans and people interested in what you have to say, so it might take you a little while to reach this level of trust. But that’s no reason why you can’t start making your own digital products, like courses, ebooks and the like. The great thing about digital products you make is you get to keep 100% of the profits so it means you need to sell less to make a similar amount of money as the previous methods. To sell the products use a site like E-Junkie to handle the shopping cart transactions for a very low monthly fee. So that’s the three most popular ways to make money from your blog but there are plenty more ways that bloggers make money. 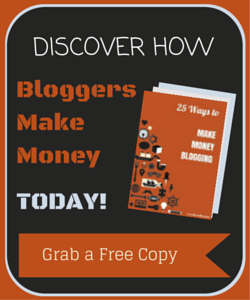 Check out this extensive report I put together on all the ways to can make money blogging. Just click the image. You see once you’ve started your blog and grow it over time there is no limit to the amount of money you can make blogging. The money you make is a result of the effort you put into it. But writing a blog isn’t enough and the organic traffic you expect may not happen immediately so when starting a blog you will need to promote it yourself, to ensure you get your first trickles of traffic flowing into the website. So how do you get your blog noticed the minute after you publish you first blog post? You promote it of course. You see the search engines won’t give you much love until you’ve been online for a while and I guess this is so they know you’re sticking around. So unless you like the sound of crickets when checking your stats you’re probably going to ask yourself this question. #1 – Share with Friends – The first place you promote your blog is with family and friends because you’ll want a little feedback from people you can trust. Ask them to check your spelling and grammar and to give you general feedback on your style of writing. It’s likely you aren’t writing for them so keep that in mind, but ask for an HONEST opinion, and be prepared to take a few knocks as some people can be brutally honest. However, try to not act offended because that will prevent you getting those honest opinions as people with start to temper their responses to make you feel better. You need to know if you’re on the right track or need a course correction. Once you’re happy with your style of writing and the content you’re producing you should start publishing your post links on Social Media. You can use whichever Social Media Platform you like but I recommend at least building an audience on 2 of the following:- Facebook, Twitter, Instagram or Pinterest. Of course, there are plenty of other types of social media platforms you can use like Periscope, Meerkat or Snapchat where you could review the post you’ve just created and bring attention to it that way. 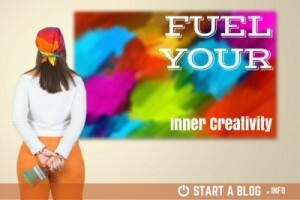 Get creative with social media and you’ll build a healthy following in no time. Forums and Chatrooms still exist in 2016, although they tend to be more Tech related. Don’t overlook these opportunities to engage with your peers and find out what problems they’re having and which ones you can solve for them. Blogging is a community, and communities tend to stick together. So after starting your blog you’ll want to reach out to fellow bloggers by reading what they have to say and then by leaving a relevant comment. And when you do leave your comment, don’t forget to enter your URL in the box provided so they know where to find you. If blog commenting is done right and you leave thought provoking comments, even the readers of that blog might take a look at your blog to see what else may interest them. Finally don’t forget about the old fashioned press release to garner a little more attention for your blog. You can even hit up your local paper and tell them about the blog you’ve just started in their community. Perhaps they’ll let you write an article or two for them and in return get more exposure that way. The other place you can get some exposure is by helping a reporter out on a website like HARO. Reporters need to quote sources and get opinions from people in the topic they are reporting on, and most reporters will check out HARO for a lead or a story. Promoting your blog is really important to the success of your blog and some say you should spend 20% of your time writing the content and 80% of your time promoting it. However, how much time you spend promoting your blog really depends on you, but it’s an important step that shouldn’t be overlooked. Here’s some more information on Promoting a Blog. Hopefully, in this rather long post you’ve learned how to start a blog and make money doing it. But there’s no point learning something then not acting on it. So are you ready to start blogging? 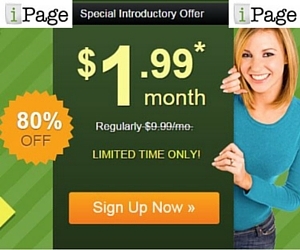 If you want to Start a Blog and Make Money in 2016, then now’s your time. You’ve got the whole year ahead of you, so go and make something happen and I promise you won’t regret it in years to come. 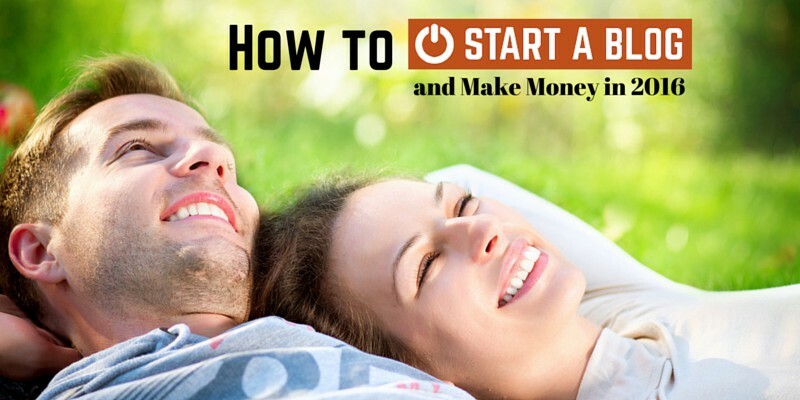 Share the post "How to Start a Blog and Make Money in 2016"